The post Bridgestone to acquire TomTom’s Digital Fleet Solutions Business appeared first on Traction News. The post Yokohama to come as OE Tire on Mercedes-AMG ’s E-Class 53-series appeared first on Traction News. Yokohama Tire announced that Mercedes-AMG has selected Yokohama’s “ADVAN Sport V105” tires as original equipment for its new E 53 4MATIC+ (ISG installed) series, which includes sedan, station wagon, coupe and cabriolet models. The company said it has began supplying the tires in June 2018 in two size sets—the19-inch set includes 245/40ZR19 (98Y) front tires and 275/35ZR19 (100Y) rear tires, and the 20-inch set includes 245/35ZR20 (95Y) front tires and 275/30ZR20 (97Y) rear tires. The new E-Class 53-series was launched worldwide in summer 2018 and announced in Japan in September 2018. The “Advan Sport V105” is a high-performance tire developed by Yokohama Rubber primarily for use on high-power premium automobiles. The tire delivers excellent driving performance combined with superior comfort and safety characteristics. The tires being supplied to Mercedes-AMG were jointly developed and bear the automaker’s “MO” mark of approval on the tire sidewall. 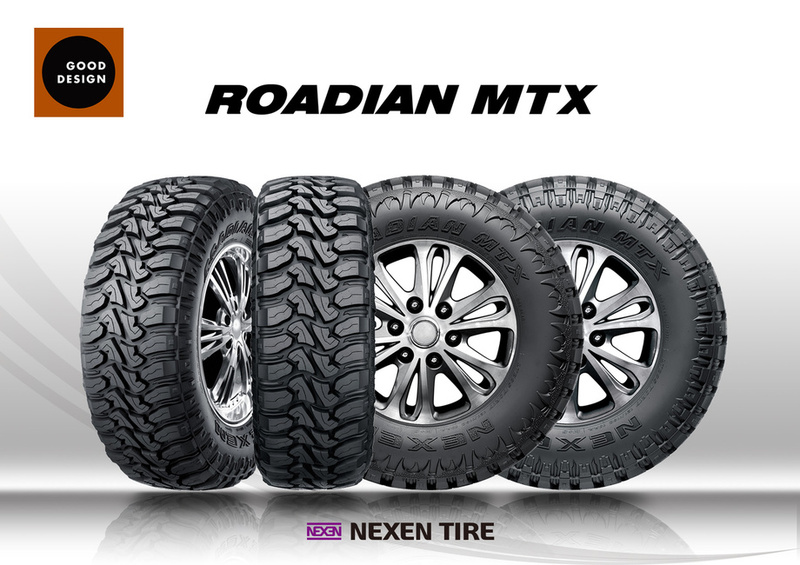 The post Nexen Tire’s Roadian MTX recognized at the 2018 Good Design Awards appeared first on Traction News. The post Bridgestone chosen as OE tire for new electric Audi e-tron SUV appeared first on Traction News. Bridgestone has been chosen by Audi as original equipment supplier for the car company’s first all-electric SUV, the Audi e-tron. The two companies established a list of demands that would highlight the specifications of the new model, from its acceleration to the in-vehicle comfort and silence, all while ensuring ultimate safety and without any drop in performance. Audi has selected Bridgestone for supply of six different tyres from 19’’ to 21’’ – four summer and two winter sizes – as original fitments. Bridgestone fitted Alenza 001 summer tires; specially designed for SUVs, the tire has a block structure that optimizes contact with the road to improve steering response on corners and stability when driving on a straight. It has been awarded the EU label Grade A for wet grip – the best on the market. For winter conditions, Bridgestone delivered the Blizzak LM 001 for its dependable cornering and handling on wet, dry, icy, slushy and snowy roads. The tire combines a high-silica compound imbued with Bridgestone’s Nano Pro-Tech polymer to ensure excellent grip. Autonomy is one of the most important considerations of any all-electric vehicle. This is only possible with a low level of rolling resistance – an area in which the Bridgestone tires have been awarded with the best-in-class EU label Grade A. The tires work perfectly with the e-tron to enable it to travel 400 km on a single charge. They also offer an excellent wear performance and are an excellent response to the demands and abilities of the all-electric e-tron to optimize driving pleasure and the driving experience on the whole. The post Trelleborg acquires tire service provider and distributor in Canada appeared first on Traction News. Trelleborg Wheel Systems announced it has signed an agreement and finalized the acquisition of Pneus ICM Inc – a specialized industrial tire service provider and distributor in Montreal, Canada. Pneu ICM is the second largest industrial tire dealer in the Montreal area, and a main service provider for eastern Canada. With annual sales of approximately C$3.39 Million, this bolt-on acquisition is part of Trelleborg’s strategy to strengthen its positions in attractive market segments. It enlarges Trelleborg’s industrial tire distribution network to a new important geographic market. 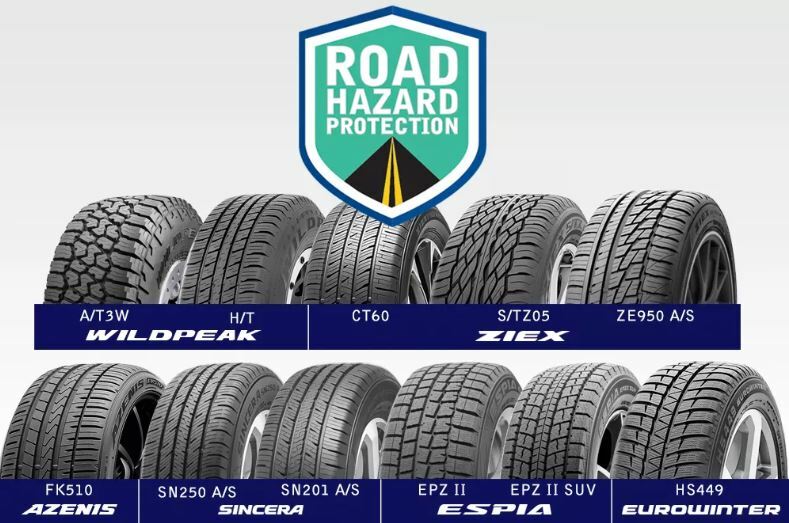 The post Falken Tire expands its Road Hazard Protection Warranty program appeared first on Traction News. The post Continental to present its tire portfolio at Valtra’s SmartTour appeared first on Traction News. Continental is partnering with agricultural machinery manufacturer Valtra and announced it will present its tire portfolio at Valtra’s SmartTour roadshow. The SmartTour tractors will be equipped with Continental’s TractorMaster tires as part of its partnership. With the event partnership, Continental and Valtra are continuing their collaboration: The A Series from the AGCO subsidiary has been available with Continental standard tires Tractor70 and Tractor85 since October 2018. The TractorMaster is the latest addition to the Continental agricultural tire portfolio. The TractorMaster comes with a flexible N.flex carcass and specially developed single-wire bead technology. The post Hankook Tire chosen as official Tire Partner for the new W series appeared first on Traction News. Hankook Tire announced it will provide the W series with its high-end racing tire, the Ventus Race (F200 slick and Z217 wet), in sizes VA 230/560-13 and HA 280/580-13. The company was chosen as the official tire partner for W series, a ground-breaking free-to-enter single-seater motor racing series for women drivers only. Hockenheim will host the inaugural round of the all-woman Formula series on 4th/5th May, while the finale takes place at Brands Hatch on 10th/11th August. The overall prize purse is 1.5 million dollars, with the winner picking up a cheque for 500,000 dollars. The select few will now undergo extensive training courses, tough fitness tests and a lot of driver training, to ensure that they are ideally prepared for the start of the W Series in Hockenheim. As all the cars are identical, tire management will be particularly important, as even minor changes to tire pressure can have a big effect out on the track. As such, Hankook Tire’s Ventus Race tire, with its extreme consistency and high grip level, is the ideal partner for the young drivers. The post SEMA opens nominations for its Hall of Fame award appeared first on Traction News. SEMA, the Specialty Equipment Market Association, is seeking nominations for its Hall of Fame at www.sema.org/hof. Created in 1969, the SEMA Hall of Fame recognizes people who have contributed a significant body of work to the industry over a long period of time and is the most prestigious award presented to an individual by the association. It is designed to honor the leaders, innovators, creators, and enthusiasts who transformed small, burgeoning businesses into an industry worth more than $43 billion annually. To nominate an individual who epitomizes the essence of ingenuity in action, click here before the deadline on Friday, March 8. To learn more about the SEMA Hall of Fame and for a list of inductees, visit www.semahof.com or contact Lindsay Bianco at [email protected] or 909-978-6692. The post USTMA’s Anne Forristall elected as Vice Chair of Council of Manufacturing Associations appeared first on Traction News. The U.S. Tire Manufacturers Association (USTMA) announced the election of Anne Forristall Luke, president and CEO of USTMA, as vice chair of the National Association of Manufacturers (NAM) Council of Manufacturing Associations (CMA) Board of Directors. Luke was chosen during CMA’s 2019 Winter Leadership Conference and joins Kimberly Korbel, executive director of the American Wire Producers Association who was elected board chair. The CMA’s mission is focused on bolstering the industry’s nationwide grassroots mobilization efforts and improving the competitiveness of manufacturers in the United States. CMA members work with the NAM to unite the manufacturing association community, and ultimately the broader business community, around strategies for increased manufacturing job creation, investment and innovation in America. In addition to Luke and Korbel, the 2019 incoming CMA board members include Steve Caldeira, Household & Commercial Products Association; Eric Fanning, Aerospace Industries Association; Geoff Freeman, Grocery Manufacturers Association; Melissa Hockstad, American Cleaning Institute; Katherine Lugar, American Beverage Association; Robb MacKie, American Bakers Association; Jim McGreevy, Beer Institute; Mike Sommers, American Petroleum Institute; Chris Swonger, Distilled Spirits Council; and Dena Wiggins, Natural Gas Supply Association. To learn more about the CMA, click here.